Blizzard Entertainment has released the new patch 1.30.1, the patch 1.31.1.10211 is the latest update for the warcraft 3 game. – The installation requires cd keys Warcraft III RoC and TFT. – Polish language characters render as Polish again. – Minimap dead zones in World Editor resurrected. – Standard/Quick Play maps no longer disappear when patching from 1.28.5 enGB to 1.30.0 enUS. – The team game you attempted to join has been found; Arranged Teams working as intended. – The text cursor reprises its role as conjurer of text. – /ping command calls forth your need for speed. – Quest logs update via scrolling. – Map download progress % over Battle.net has returned. – (8)Twilight Ruins_LV – Level 1 permanent items replaced with tomes in Goblin Laboratories. – Fog and visibility modifiers affect player 13+. – Moving special effects using the new natives updates their internal position. – Floating text offset corrected in widescreen. – Visual building upgrades appear for players 13+. – (8)Ferelas_LV – Reduced aggro range for expansion creeps. – SetUnitAbilityCooldown no longer affects all units with the chosen ability. – Max clan members and players in channels can actually reach 255. – BlzSetUnitAbilityManaCost no longer affects all units with the chosen ability. – Plugged the leak allowing Frozen balance into the Chaos bucket. – Unit glow for player 12 is muck colored again. – SetItemName affects all items of a chosen type. – In 24 player games, AI buildings may become stuck in construction. – Holding left mouse button causes keyboard events to not be registered. – Joining a custom game on Mac will result in a crash. – Automated tournament map pool updates will be available Soon™. – Cursor does not match the mouse position when resolution is taller than wider. 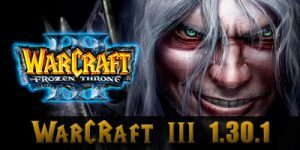 -If you have any version of Warcraft III installed on your PC, this installer will update it to version 1.30.1, this update is irreversible. If you play on RGC, w3arena, Rubattle.net, you will not be able to play with this version. – We recommend that you make a full backup of your current warcraft III folder. – Run the installer as administrator, it is very important to avoid errors during installation. – Download Warcraft-III-Setup.exe file, and copy the file into folder warcraft 3. – Run the downloaded file as an administrator, right-click on the patch file and select “Run as administrator”, and continue with the game update. 1.- I need original cd-key purchased in store to install the game ?. No, you only need any cd-keys to install the game. But, if you want to play on official blizzard servers (Battle.net), you need original CD-Keys (purchased in store). 2.- Where are my maps, replays, Campaigns, screenshots, etc?, everything has disappeared! 4.- As to switch from WarCraft III Reign of chaos to The Frozen Throne? In game, click on the icon of the version you want to play. 5.- Can I play online with 1.30.1? Yes, if you have an original cd-key (purchased in store) you can to play on Battle.net, and some PvPGN servers (not require original cd-key) such as eurobattle.net or GameRanger platform are compatible with this patch. 6.- Can I play DOTA on LAN with patch 1.30.1? Yes, a lot of maps are compatible, such as DotA 6.85k, DotA 6.83d, DotA v6.83d fixed v2 by h3rmit, an other dota maps. 7.- Dota 6.88w9.4 is compatible with patch 1.30? No, 6.88w is not compatible with this version, +6.88 maps series doesn’t work on this patch. 8.- Can I play DotA AI in Single Player mode and LAN with 1.30.1 patch? Yes, the latest ai maps are supported with this patch, such as DotA 6.88 Ai, DotA 6.83d Ai, DotA 6.81b Ai, and other dota ai maps. 9.- How much space does the game occupy (size)? 10.- I can’t change my resolution to widescreen (HD)! Run the game, click on “Options”, “Video”, disable “Fixed Aspect Ratio”, and now you can to change your resolution. 11.- When run the game, I can’t see the cinematic videos (black screen), it freezes! 12.- Can I play with other mod maps? Yes, this version is compatible with many maps, such as BVO New World 4.0, Bleach vs one piece 13, etc. 13.- Can I play in RGC with this patch? No, 1.30.1 is not supported in Ranked Gaming Client. 14.- is this the latest official version of warcraft III?. No, 1.30.1 (1.30.1.10211) is the last stable version. But the latest version is 1.30.1 Public Test Realm (PTR), this is still a test version. – Since the patch 1.28a, the updates are automatic with the new game launcher. – The War3TFT_130a_English.exe file is no longer available. – If you play Warcraft III or DotA on some PvPGN Servers (Private Servers), you need to download the PvPGN Loader 1.28. – This installation requires Warcraft CD-Keys. Hello, I have done all your installation process but the frozen throne is missing? what should i do? is there something i miss? pardon me, I’m only a beginner, i just want to play the latest version of Dota, Thank you so much! i think you have to download the game itself. what do you mean with the frozen throne is missing? Where do you add custom campaigns in this one? in the documents folder you will find warcraft 3 select it and go to campaigns,and you’re done! Gona try this out cos of RGC. Will comment later to update. need cd key’s? where can I have one? Yes, This requires cd keys. Help me.. Where can I find the CD-key for RoC and TFT.. There is no widescreen. There is no fixed aspect ratio choice for me. For me to. How can fix that? it says no game.dll found? Hi, why did you write to me about the public test? hei why there is no custom campaign in my warcraft 3??? How can i change the gamma? I already run as administrator.